This is a naturally occurring polysaccharide composed of galactose units and arabinose units, with a high amount of polyphenols. 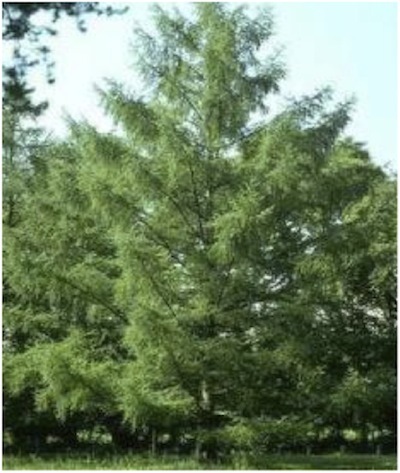 It is extracted from the larch tree, growing in abundance in the Northwest United States. These Larch trees are found only in cold latitudes, growing at elevations of more than 600 metres on open mountainsides. Galactoarabinan is entirely natural, being extracted directly from the trees. It's bio-available, so has a highly beneficial interaction with skin cells, and is biodegradable. According to folklore, early US inhabitants used the resin and the bark from Larch trees for food, cosmetics and medicinal purposes and the Thompson River American Indians prepared a mixture of the resin for use as an application to treat cuts, sores and burns. The patented extraction process is a water-based extraction using only heat, pressure and water without using any solvents. TEWL is the measurement of the water loss from a body that passes through the skin epidermis through diffusion, which then evaporates into the atmosphere. This measure is used to define skin barrier characteristics. Reduction of TEWL (i.e. lower TEWL readings) indicates that the skin barrier is more effective in retaining moisture in the skin, allowing it to feel more moisturised. A test conducted by International Research Services Inc in Port Chester, NY, on 21 subjects which measured TEWL after one application of a product containing 2% Galactoarabinan as against a placebo showed a statistically significant reduction in TEWL levels after only 2 and 4 hours, indicating that Galactoarbinan successfully helped to maintain skin barrier function. Galactoarabinan has been shown to improve the dispersion of inorganic sunscreen particles (such as zinc oxide or titanium dioxide) leading to a more uniform and effective transference onto the skin surface. This leads to less clumping of the sunscreen particles and therefore more efficient packing of the sun protection per UV level. Effectively this increases the efficiency of the sunscreen protection capabilities. Faster skin cell turnover, as evidenced by a higher rate of skin exfoliation, can lead to a reduction in fine lines and wrinkles by bringing younger skin to the surface more rapidly. International Resources Inc conducted a study using 15 panelists to evaluate the effect of Galactoarbinan on fine lines and wrinkles in the crow's feet area of the face. In an 8 week, full face, randomized, double-blind, positive-controlled study, Galactoarabinan was proven to reduce fine lines and wrinkles by 19%. Product performance was assessed using both trained evaluators and instrumentally (using silicon replicas with subsequent image analysis).